Star Plus’ popular show Yeh Rishta Kya Kehlata Hai is gaining a lot of popularity among the viewers. Gayu’s (Deblina Chatterjee) reentry in the show has raised many eyeballs, and viewers are keen to witness what twist Gayu will bring along with her. In the recent episodes, we have seen that the family is gearing up for a parivaar awards show, and everyone is happy and enjoying spending quality time with one another. Soon, Kartik and Naira’s (Shivangi Joshi) parenthood track will unfold. 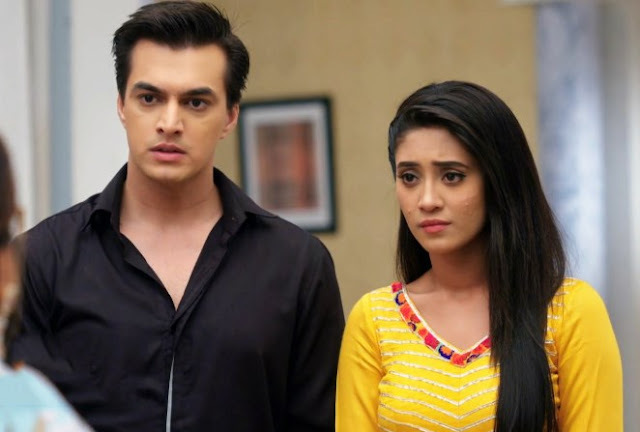 Although Kartik(Mohsin Khan) is keen on becoming a father, he does not want to risk Naira’s life considering her past surgery. Well, it is highly speculated that Gayu (Deblina Chatterjee) steps in to rescue the couple in distress and becomes a surrogate mother to their child. This is likely to indirectly affect Kartik and Naira’s (Shivangi Joshi) relationship. If this is true, then it will be interesting to witness how Kartik (Mohsin Khan) and Naira deal with the complex situations. Are you excited about this track? Post your thoughts in the comments section below.